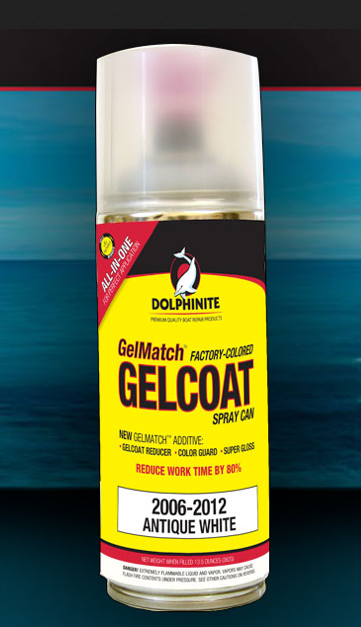 The Dolphinite GelMatch All-In-One Gelcoat Aerosol Can has been recognized as one of 2014’s top products by BoatingIndustry magazine. 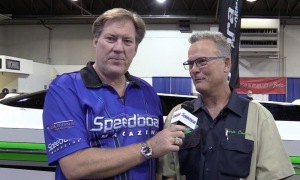 The aerosol solves the traditional challenges when repairing gelcoat. Most repairs are costly and time consuming, so mistakes in mixing and color matching can be very expensive. 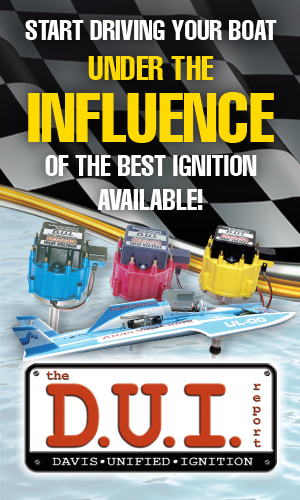 Dolphinite takes the guess out of these problems, offering an aerosol can that is pre-filled with a proprietary All-In-One Gelcoat and matched perfectly to original factory colors. The product features a two-component can that houses the M.E.K.P. catalyst in an inner chamber, which is easily activated for fast use by simply breaking the inner seal at the bottom of the can – no mess, no mixing. In the outer chamber, the can is pre-filled with Dolphinite’s proprietary All-In-One gelcoat formula color matched to original factory colors utilizing Dolphinite’s GelMatch Gelcoat Color Matching System. 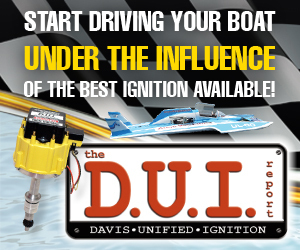 This system allows users to enter year, make, model and length of a boat dating back to 1984.